Operation Dry Water (ODW) is a national boating under the influence heightened awareness and enforcement campaign with the goal of removing impaired operators from the water and raising awareness of the dangers of boating under the influence. Register now for the three-day heightened enforcement weekend taking place nationwide June 30 – July 2, 2017. The Operation Dry Water Press Kit and other useful marketing and outreach materials are now available for Operation Dry Water 2017! All resources can be found at operationdrywater.org. Who is participating in my state? Want to see which agencies and USCG stations are participating in Operation Dry Water 2017 in your state? Click on the interactive map to see who has registered. Or visit the web page to see the full list. Don’t see yourself on the map? 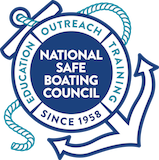 Register now to make sure your agency is included in the national campaign to stop boating under the influence.